The Future Stars is a one an a half hour program designed for the player looking to play tournaments or high school tennis. Students should be able to rally at least ten consecutive balls on a consistent basis. I have to admit that I was skeptical of 3 year olds taking tennis lessons but our twin boys absolutely love it. On top of that, they are getting better and better every week. The instructors are great at making it fun, keeping their attention and building on their skillset from week to week. Money well spent! My two children take tennis classes with Angela Simon once a week. My husband and I had been searching for a coach for several months but were dissatisfied with our first attempts for a variety of reasons. However, Angela clicked with the kids and found a way adjust her teaching style to adapt to the level differences between them. The kids have been taking classes with Angela for more than a year and we couldn’t be happier. Angela pushes them both to try harder and their tennis has improved as a result. When I come to pick up the kids, I often see Angela using both playfulness and humor to engage them and keep them motivated. She’s very clear, concise and extremely knowledgeable about the game. Finding the right fit for your kids is extremely important to me which is why we took so long to find the right tennis instructor for them. We highly recommend not only Angela but her program Up4Tennis. Angela is great with the kids and is able to give my son very helpful skills to work on. So we signed her up for the fall session and she loved every second of it! The teaching staff is very experienced, very patient, and super energetic which makes every lesson fun. Each week, the coaches followed a lesson plan which helped build a solid foundation for all the strokes as well as how to play a real game. After only 14 classes (without ANY prior tennis experience) my daughter is able to rally a few balls and knows the correct fundamentals of the strokes. 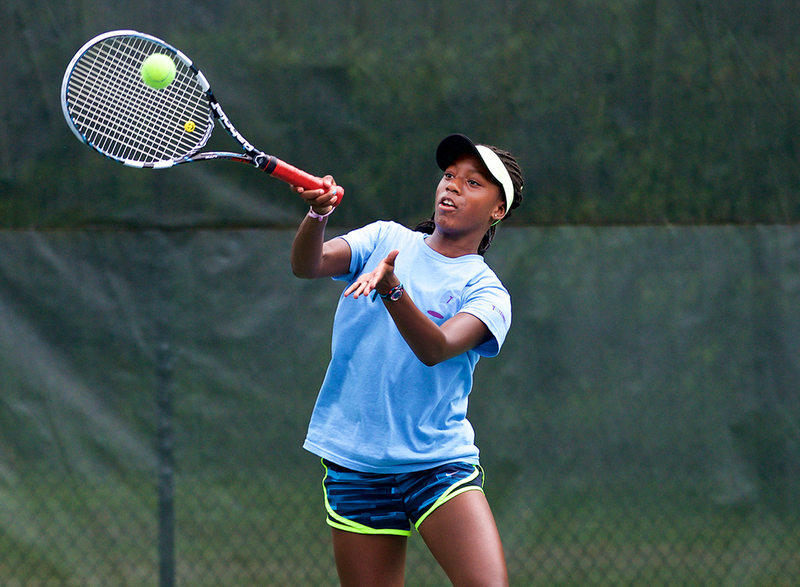 So if you’re looking for a great tennis program in Brookhaven, I highly recommend Up4Tennis….